A CBS press release confirmed on Thursday that the first eviction of Big Brother 11 will occur live on Thursday, July 16th. The press release also confirmed that Julie Chen will return as host and there will be three weekly episodes. BIG BROTHER will return for its 11th installment on Thursday, July 9 (8:00-9:00 PM, ET/PT), on the CBS Television Network. 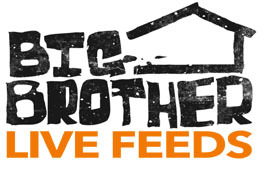 Following the premiere, BIG BROTHER will be broadcast three nights weekly, beginning Sunday, July 12 (8:00-9:00 PM, ET/PT), Tuesday, July 14 (9:00-10:00 PM, ET/PT) and the LIVE eviction show, hosted by Julie Chen, beginning Thursday, July 16 (8:00-9:00 PM, live ET/delayed PT). BIG BROTHER is executive produced by Emmy Award winner Allison Grodner and Rich Meehan, in association with Endemol U.S.A.